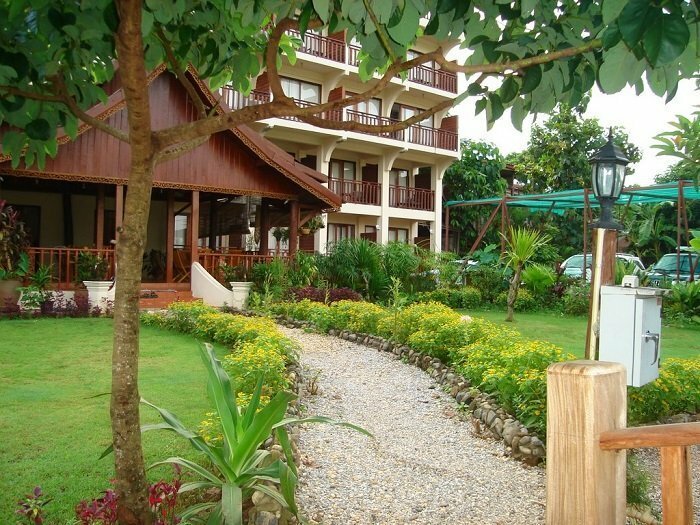 Accommodations in Laos - See the hotels we use in Laos here! 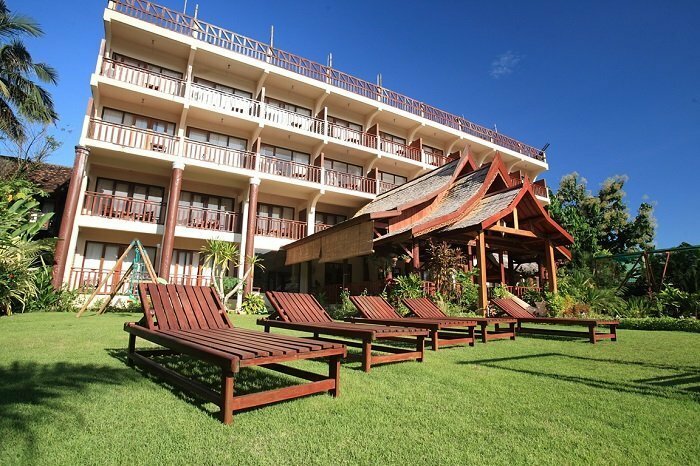 Here, you can find out more about the hotels that we use during our tours to Laos. 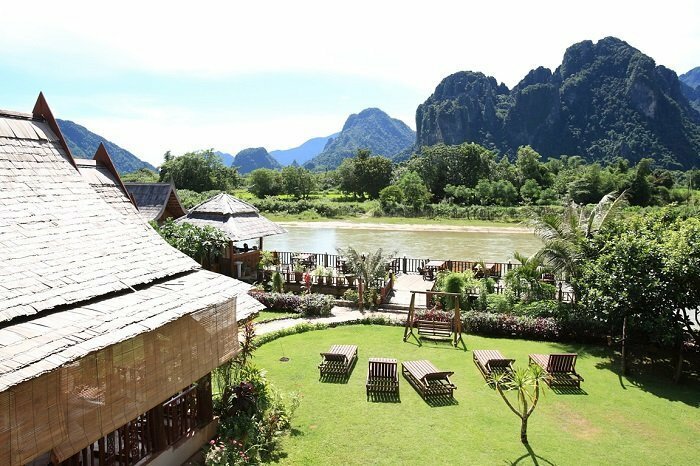 Stay at Kamu Lodge to experience the essence of Laos: undisturbed peace and quiet, far from the stresses and strains of the hectic digital world. 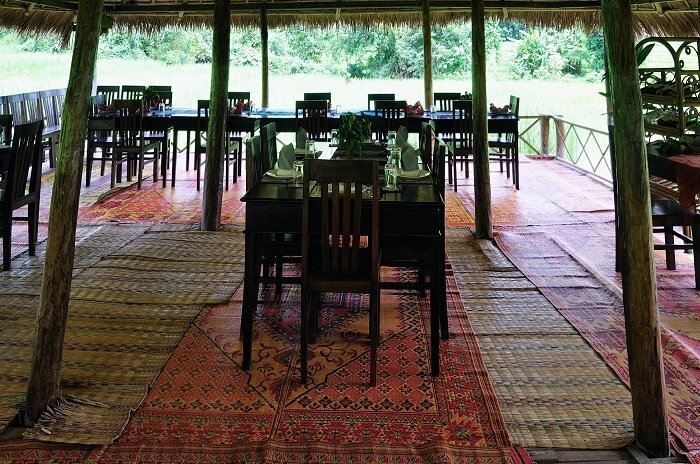 The lodge is located on the Mekong river, two and a half hours by boat upstream from Luan Prabang. 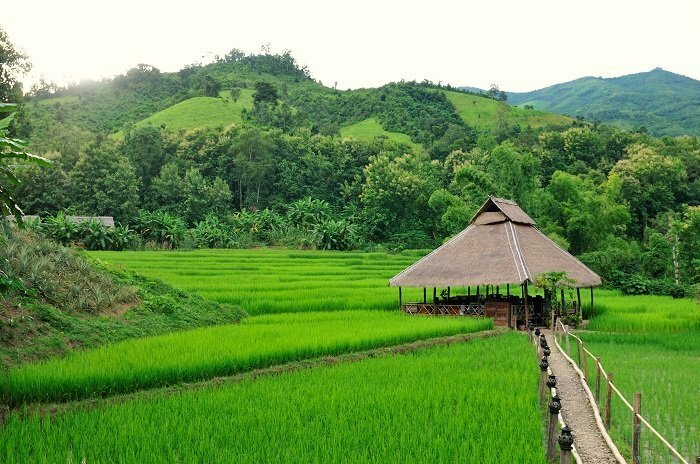 It is set in an area of paddy fields, close to the river and with the undulating hills in the background. 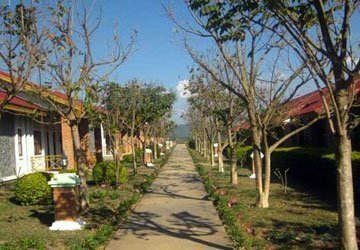 The lodge was constructed as a sustainable project in 2004, so there is no Wi-Fi or satellite TV, and access to electrical power is limited. 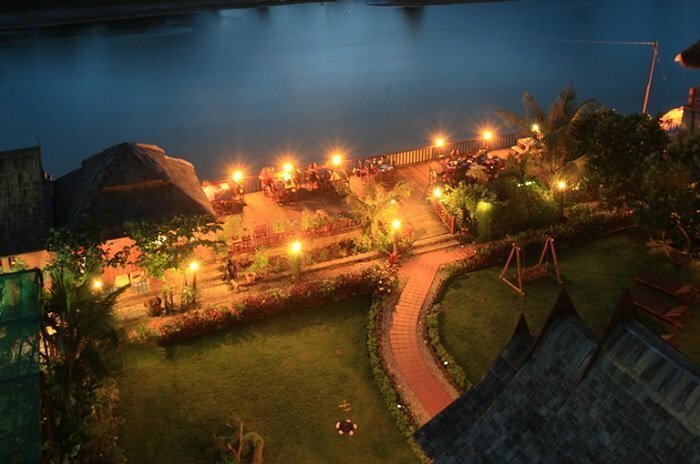 The complex comprises a main building and 20 luxury tents erected on a large wooden deck under a giant thatched roof, which also covers a terrace with seating areas in front of the tents. 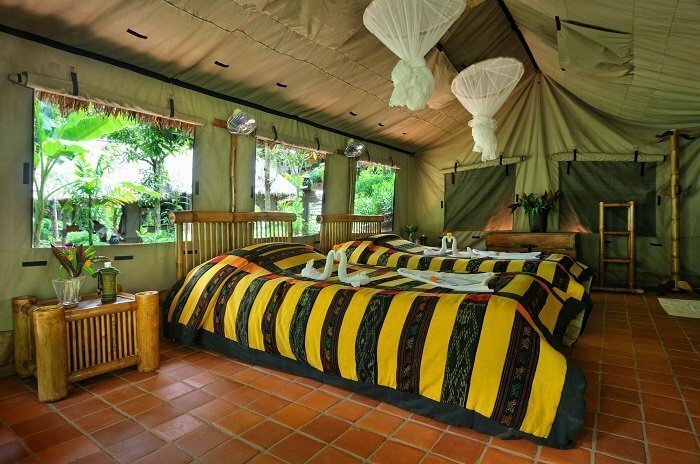 Each tent has its own bathroom with a shower and a proper toilet. In addition, every tent is fitted with solar panels to power the ceiling fan and the electric lights. 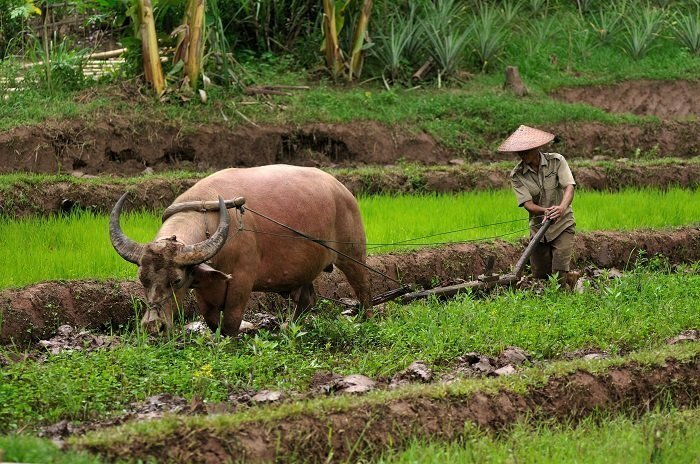 An important aspect of the lodge is the range of activities in which you are more than welcome to participate, as well as the nearby Kamu village, where you can experience authentic village life. 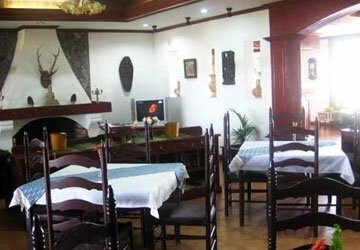 While the lodge may ‘only’ be tourist class, the experience is world class! 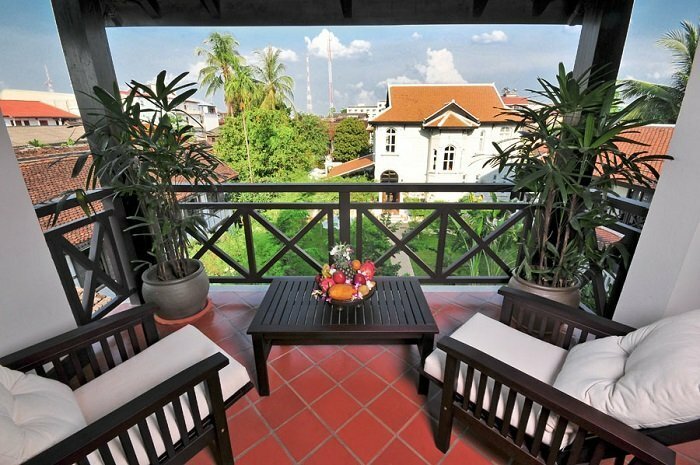 Villa Chitdara 2 is a family-run guest house in a charming colonial building set close to the banks of the Mekong River (a road runs between the hotel and the river). 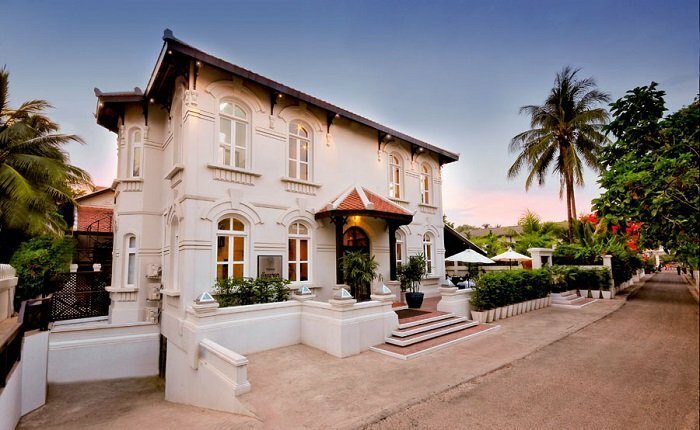 The house was originally built as a private residence, but was lovingly restored and converted into a hotel in the 1990s. 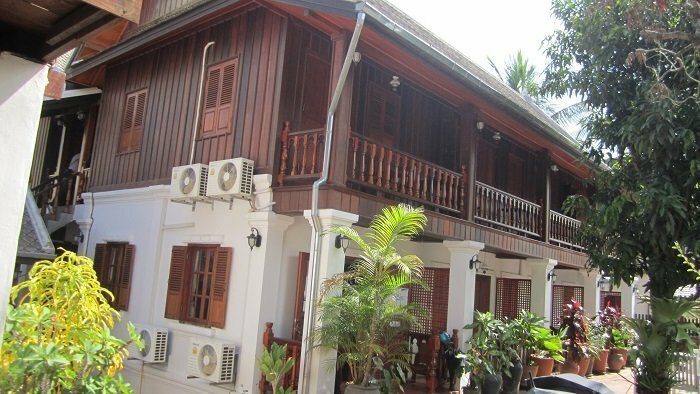 There are only seven rooms, which are all spotlessly clean and simply furnished with local hardwood floors. 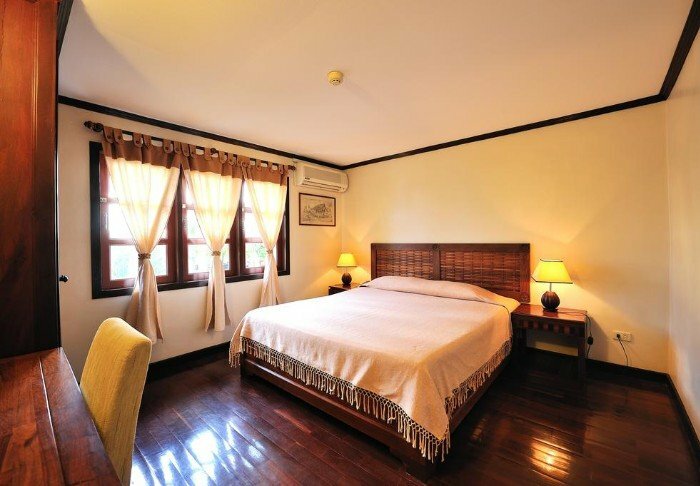 The rooms have their own shower room, ceiling fan and air conditioning, refrigerator, TV and Wi-Fi. 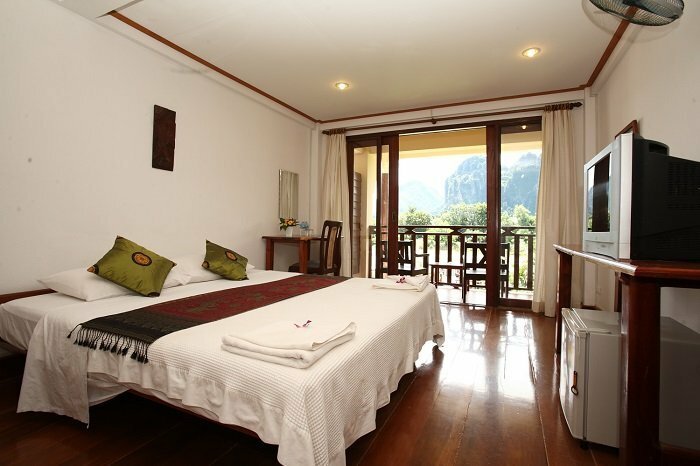 The Elephant Crossing Hotel is a charming boutique hotel in Vang Vieng. 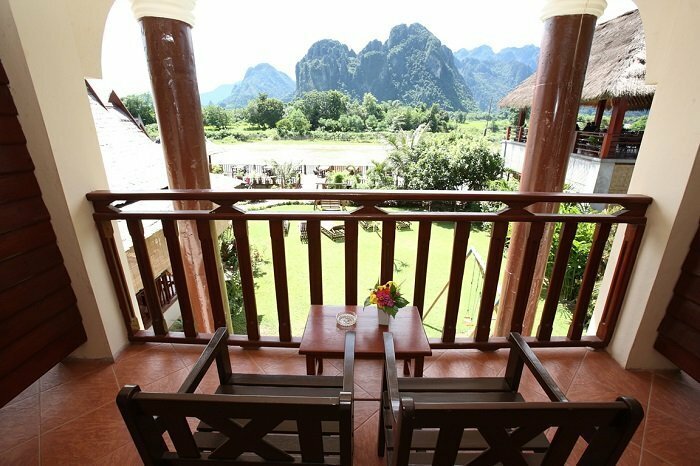 Located close to the Nam Song River, it provides a magnificent view of the majestic limestone mountains that surround Vang Vieng. 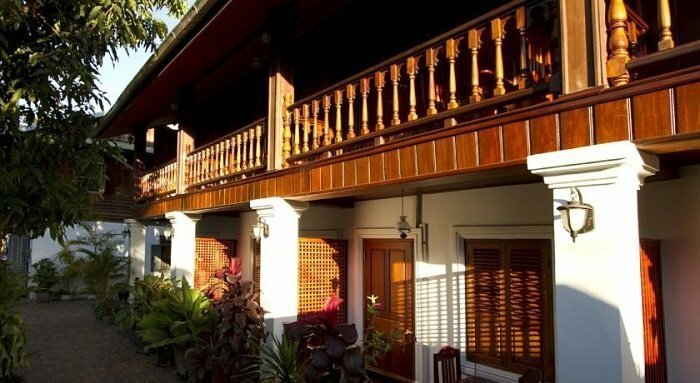 Ansara Hotel is a delightful boutique hotel situated in the heart of Vientiane –the capital city – within easy walking distance of the Mekong River. 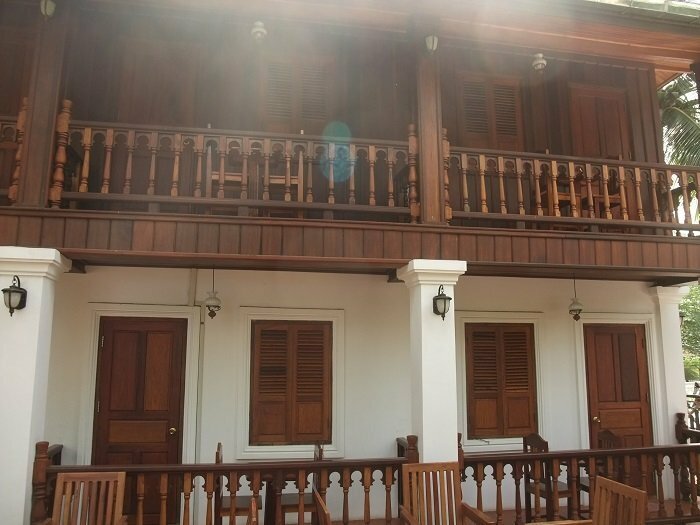 The main building was built in the colonial years, and houses the hotel restaurant and bar. 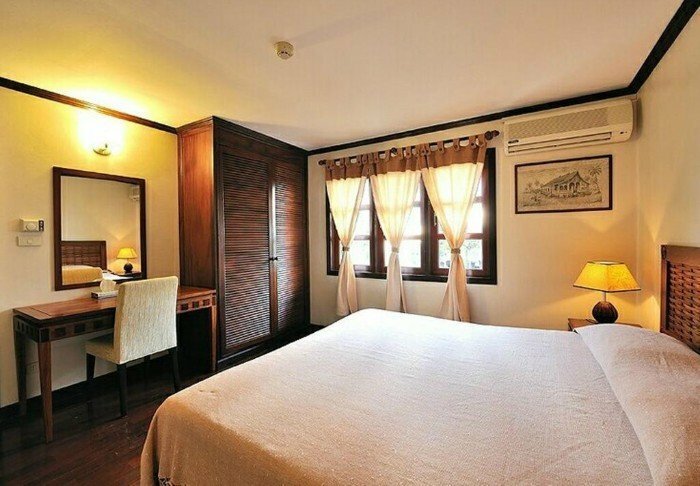 With just 14 rooms, the hotel has given priority to personal service. 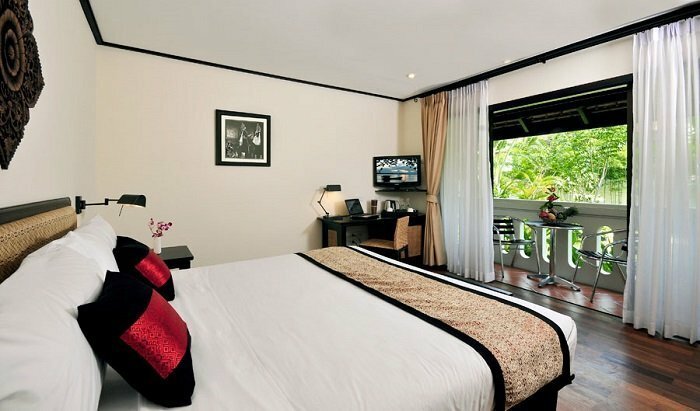 The rooms are furnished in modern Asian style, with a dash of Laos elements such as hand-woven pillows and rosewood parquet floors. 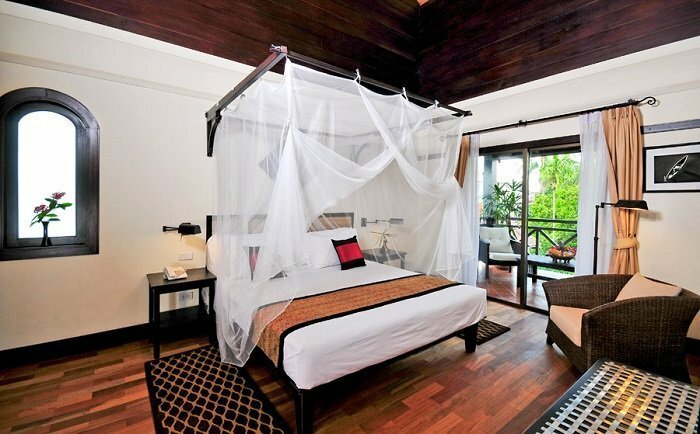 All the rooms have their own bathroom and a small balcony with space for a couple of chairs. 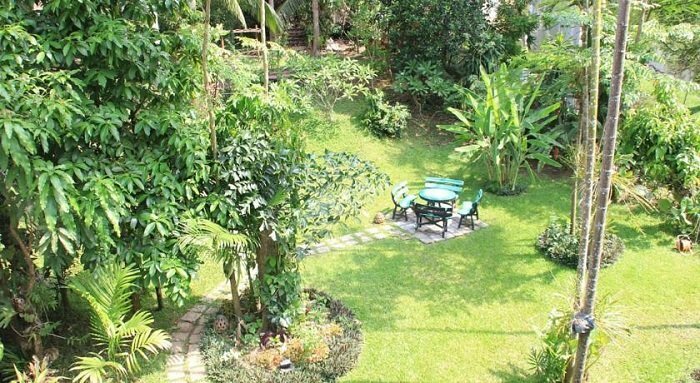 Other conveniences include air conditioning, Wi-Fi and satellite TV, as well as facilities for making tea and coffee. 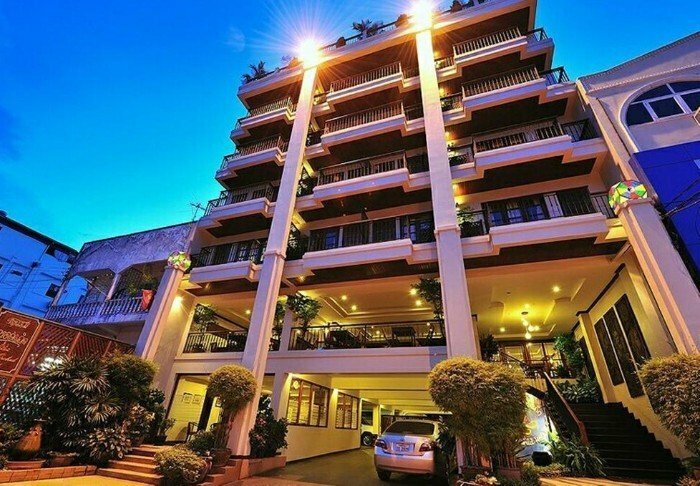 The three-star Lao Orchid Hotel is located in the centre of Vientiane, just a 2-minute walk from the Mekong River and a 15-minute drive from That Luang temple. 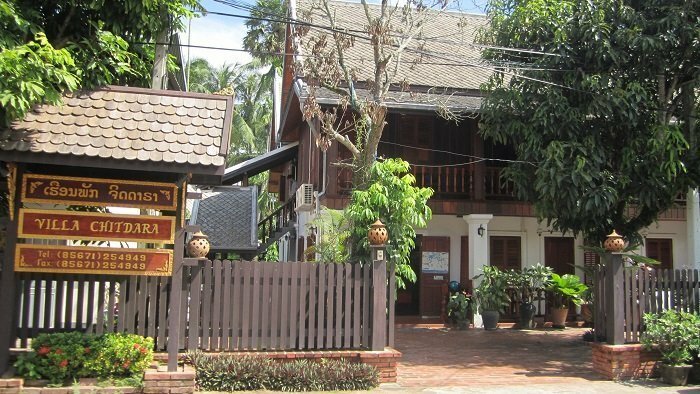 In the early hours of the morning you may well awake to the sound of the Buddhist monks’ bells and chants as they pass by on the street collecting alms. 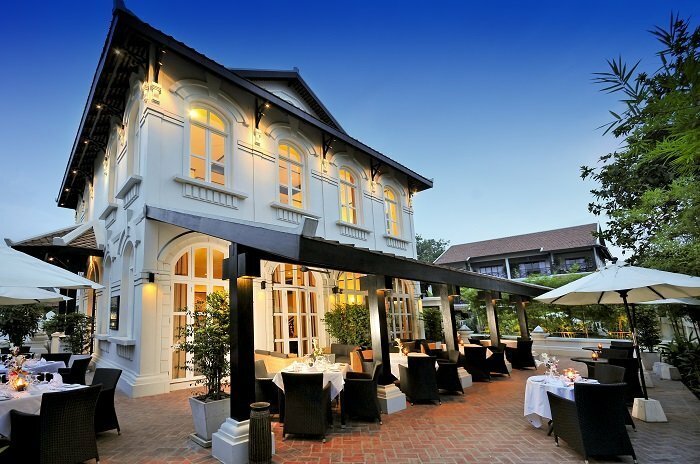 This is a proper city hotel, very simply yet beautifully furnished. 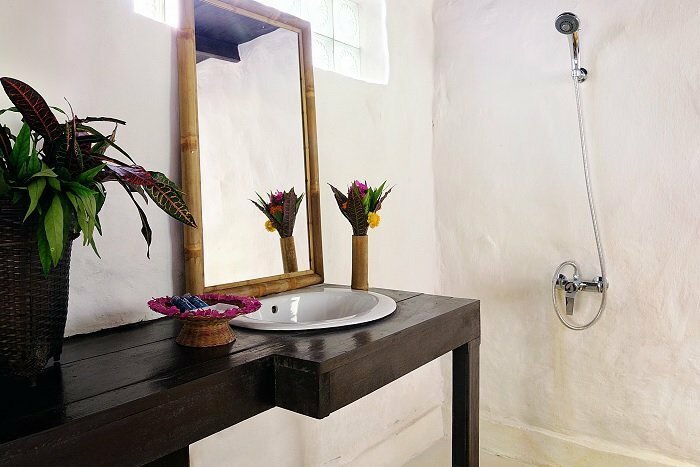 There are 50 rooms, all neatly appointed with attractive wooden floors, a TV, minibar, safe and coffee- and tea-making facilities, as well as a private bathroom with a shower and a hair-dryer. 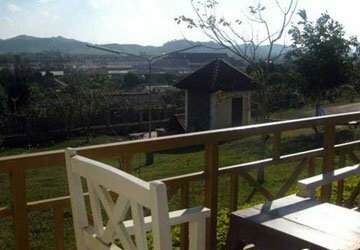 On a hill top in Phonsavan, in the Province of Xieng Khouang, stands the tourist-class Vansana Plain of Jars Hotel. 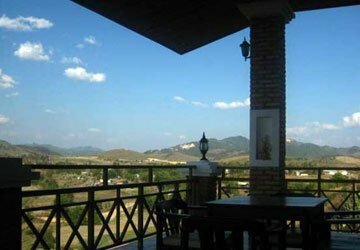 From the hotel, there is a 360° view out over the town, all the way to the hills and mountains on the horizon. 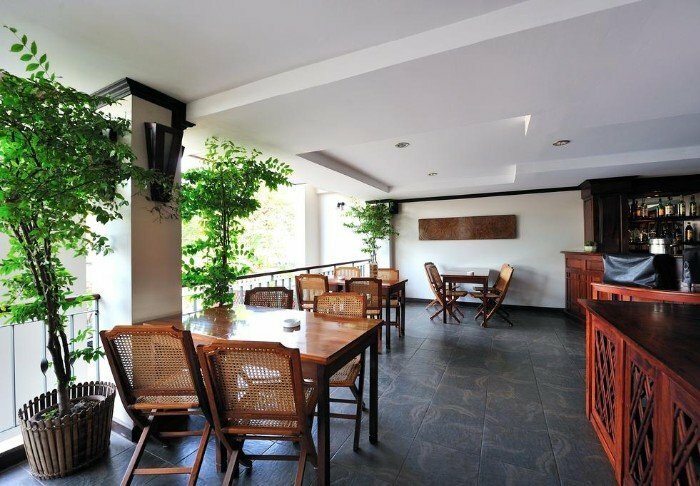 The hotel is well placed in relation to many of the popular destinations on the ‘Plain of Jars’, as it is known. 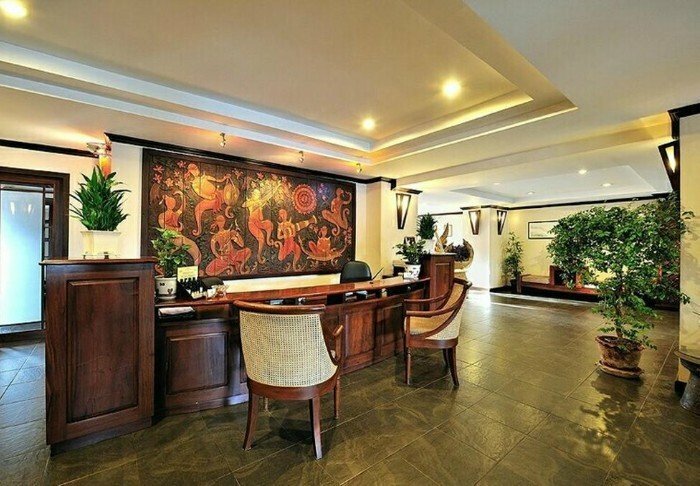 Facilities include a restaurant and bar, and there is a Wi-Fi connection in the reception area. There is also a free shuttle bus service to and from the centre of town. 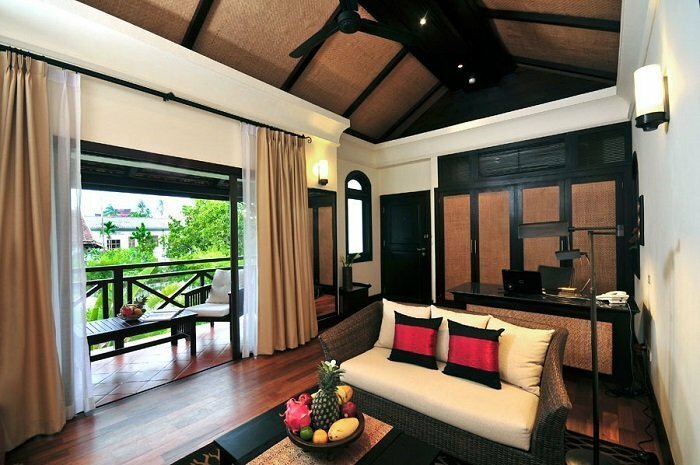 The rooms are built in bungalow style, and each has its own bathroom and a balcony with a view. 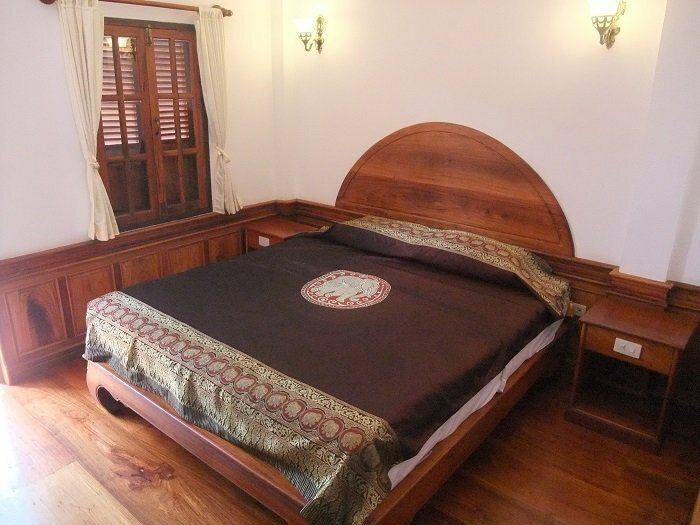 The rooms are tastefully decorated in traditional Laotian style.